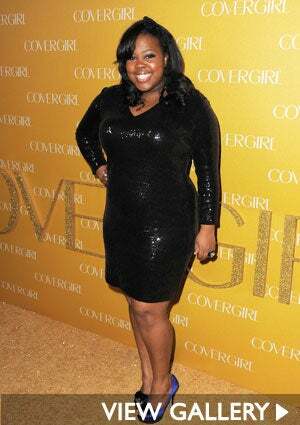 Amber Riley wore a sleek, shimmering long-sleeved black mini to Cover Girl's 50th Anniversary party in West Hollywood last night. We love the pop of color from her heels and that signature smile. "Glee" won best "Favorite TV Comedy" award at last night's 2011 People's Choice Awards. 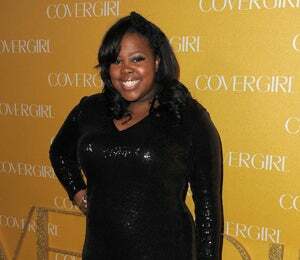 Amber Riley wore a sleek, shimmering long-sleeved black mini to Cover Girl’s 50th Anniversary party in West Hollywood last night. We love the pop of color from her heels and that signature smile. “Glee” won best “Favorite TV Comedy” award at last night’s 2011 People’s Choice Awards.